San Francisco, June 7, 2016. – Partners since 2012, CQDM and Ontario Centres of Excellence (OCE) are pleased to announce the funding of six new game-changing research projects to accelerate drug discovery under the Quebec-Ontario Life Sciences Corridor, for a total of $1.8M invested. The projects are part of the Explore program and were announced at the 2016 BIO International Convention in San Francisco which was attended by Dominique Anglade, Quebec’s Minister of Economy, Science and Innovation and Minister responsible for the Digital Strategy. The unique CQDM/OCE Explore program funds Quebec and Ontario-based researchers whose unconventional research projects provide early concept validation of cutting-edge technologies that address the needs of biopharmaceutical research. CQDM’s pharmaceutical members are particularly involved in this program. Senior scientists from member companies provide industrial expertise and support to the funded projects through CQDM’s mentoring program. The six projects will focus on innovative approaches to treating cancer and heart diseases as well as new vaccine therapies and other drug discovery. The project teams will be led by Dr. Robert Batey (University of Toronto), Dr. Mickie Bhatia and Dr. Michael Thompson (McMaster University), Dr. Yves St-Pierre (INRS – Institut Armand-Frappier), Dr. Daniel Larocque (PAIRimmune Inc.) and Dr. Jason Maynes (Hospital for Sick Children). Through the Quebec-Ontario Life Sciences Corridor, immense strides have been made by the two provinces in Canadian scientific R&D. Today’s announcement brings to 15 the number of projects co-funded between CQDM and OCE. These funded projects are comprised of 39 researchers from 18 public and private organizations who are committed to accelerating innovation in the drug discovery and development processes. This whole-of-government approach to funding innovation, including federal government support, creates an efficient means for industry to access academic expertise and resources. “We are delighted about our long-lasting partnership with OCE. Together, under the Quebec-Ontario corridor, we fund the best possible research in our two provinces. Our strong inter-provincial collaboration fortifies the Canadian life sciences ecosystem and makes the co-funding of these unique and very innovative projectspossible. We have pulled our strengths and resources together to build strong research networks in Quebec and Ontario,” said Dr. Diane Gosselin, President and CEO of CQDM. “Through these research projects, Québec and Ontario are once again joining forces to further foster drug discoveries that will enhance the quality of life of many Quebecers and Canadians. I would like to pay tribute to CQDM’s outstanding contribution to the establishment of the partnerships, which are further bolstering Québec’s expertise in the life sciences industry,” Minister of Economy, Science and Innovation and Minister responsible for the Digital Strategy Dominique Anglade noted. Vaccines can have a profound influence on the health and longevity of a population; because of their heat sensitivity, however, they also introduce complex manufacturing issues for pharmaceutical companies. The development of thermally stable vaccines would improve their storage and distribution efficacy by diminishing or even eliminating the costly needs related to cold-temperature management. This project combines the expertise of pathology and engineering to create new thermally stable vaccines that will translate to spray drying processes. New heart disease therapies are challenging to develop due to the complex functions of heart muscle and the difficultly of modelling heart cell behavior. Developing systems that are better able to recreate how heart muscle works in the body will facilitate the discovery of new cardiac therapeutics and help scientists better predict how drugs affect the heart. Dr. Maynes and his team of researchers are looking to develop a system that will measure the comprehensive function of human heart cells, by combining novel engineering techniques with cutting-edge methods in regenerative medicine. One of the side effects of life-saving chemotherapy is damage to sensory neurons, which transmit information from the brain to every other part of the body. The damage is known as “chemotherapy-induced peripheral neuropathy” (CIPN) and results in pain so severe, chemotherapy is often stopped before the cancer cells have been fully eradicated. There are currently no medications to prevent CIPN. McMaster’s Stem Cell and Cancer Research Institute hopes to change this with a process that converts human blood to peripheral nerve cells, which will allow for the testing of thousands of FDA-approved drugs for their ability to reduce the damage to peripheral nerves. This project aims to deliver between two and three new drug candidates to repurpose for CIPN; new insights and new targets for CIPN; and a platform to test for peripheral neuropathy (PN) side-effects for the next generation of chemotherapeutics. Disrupting some of the more than 350,000 protein complexes identified in genome sequencing is a viable therapeutic strategy for finding cures for many human ailments. Historically, targeting these protein-protein interactions (PPIs) has proven to be very challenging. Multiple techniques and technologies have been tested, but they have not been very successful. This project is focused on an innovative and high throughput technology that will enable the identification of small molecules (oral pills) that can be developed into drugs. Galectins play a central role in many diseases, most notably cancer. When produced in excess by cancer cells, prototypic galectins suppress the local and systemic immune response in patients by eliminating cancer-killing T cells. This project targets one of the 15 members of the galectin family, which is expressed at abnormally high levels in aggressive forms of breast and ovarian cancer, and for which there is currently no effective treatment. The most successful area in drug development for cancer, infectious diseases and chronic disorders over the last several years relates to the development of effective therapies, vaccines and drugs related to the immune system. Proof-of-Concept studies for a platform known as Immune Complex Phagocytic Assessment (ICPA) will be performed in a way that is similar to those developed for Alzheimer’s therapy, HIV vaccines, cancer immunotherapy and microbial infections. This approach could find implications in future immunotherapies and could be used to develop new assays and biomarkers to monitor the immunological response to candidate therapeutics. CQDM is a pharma-based consortium active in early research whose mission is to fund the development of innovative tools and technologies to accelerate drug discovery. Unique in the world, CQDM’s business model is based on a collaborative approach where all stakeholders share the costs of biopharmaceutical research and benefit from its results. 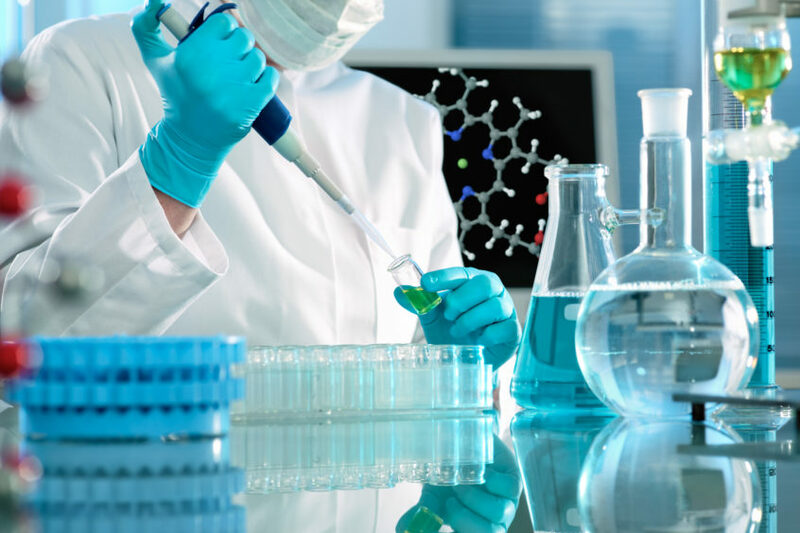 CQDM also provides a common meeting ground where academia, governments, and the pharmaceutical and biotechnology industries converge to address numerous complex medical challenges. CQDM receives financial support from Merck, Pfizer, AstraZeneca, Boehringer Ingelheim, GlaxoSmithKline, Eli Lilly Canada, Janssen, Novartis Pharma Canada, Sanofi Canada, as well as from Quebec’s Ministry of Economy, Science and Innovation (MESI) and from the Government of Canada under the Business-Led Networks of Centres of Excellence Program (BL-NCE). For more information: www.cqdm.org. Ontario Centres of Excellence (OCE) drives the commercialization of cutting-edge research across key market sectors to build the economy of tomorrow and secure Ontario’s global competitiveness. In doing this, OCE fosters the training and development of the next generation of innovators and entrepreneurs and is a key partner with Ontario’s industry, universities, colleges, research hospitals, investors and government ministries. A champion of leading-edge technologies, best practices and research, OCE invests in sectors such as advanced health, information and communications technology, digital media, advanced materials and manufacturing, agri-food, aerospace, transportation, energy, and the environment including water and mining. Funded by the Government of Ontario, OCE is a key partner in delivering Ontario’s Innovation Agenda as a member of the province’s Ontario Network of Entrepreneurs (ONE).For more information: http://www.oce-ontario.org.